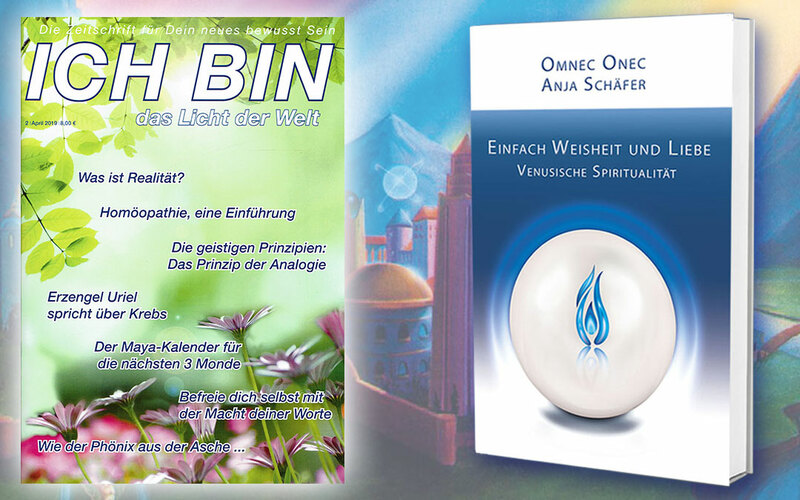 This interview with the Venusian and Spiritual Teacher Omnec Onec took place on August 22, 2016 in Hohenfels, Germany. 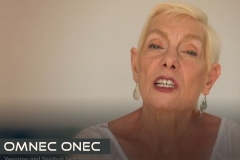 It may be the last interview with Omnec for a while, because it is not sure when and if she will be available for the public again. 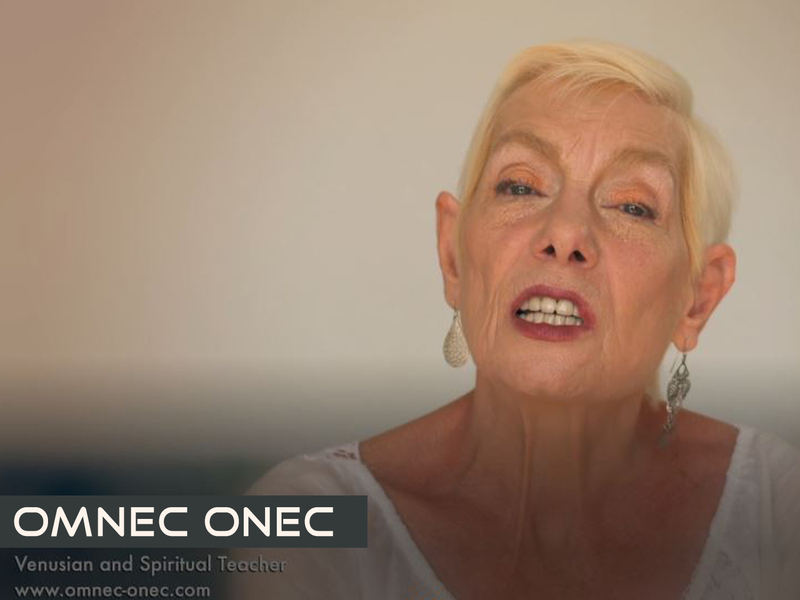 Omnec Onec considers her mission as mostly complete and herself as retired. From her perspective, she has done and said everything that she had to do and to say. Her life story and teachings are available in many languages as books, ebooks, DVDs, CD’s and Videos online. 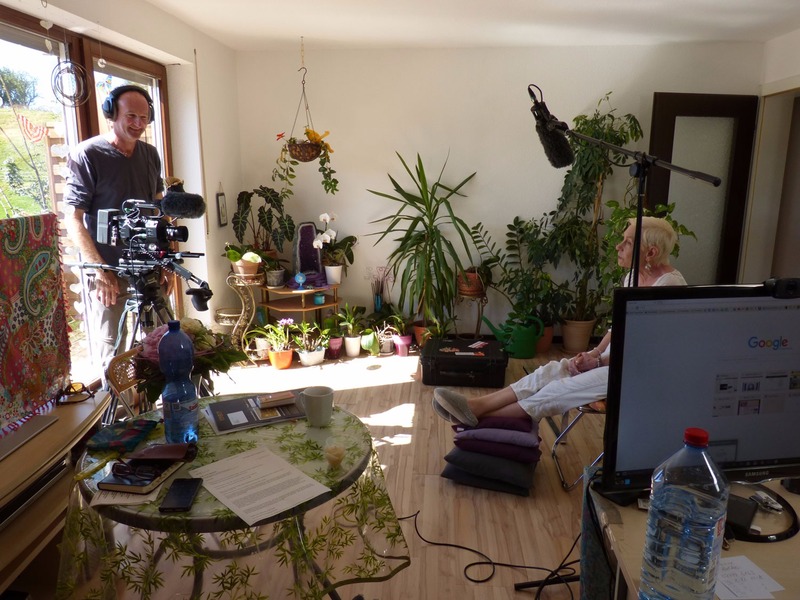 Thanks to Janucz Reichenbach (camera and edit), Steph Doyle (questions), Anja Schäfer (questions and upload) and to our facebook friends who actively asked questions on our request. Do you think that people try to destroy the Earth on purpose? Do you know anything about the inner earth population? How many extraterrestrial races are on Earth? What is their effect on our societies? Is another incarnation similar to you going to come and to bring the truth for future generations or are you really the only one? Have you ever channeled beings from the Pleiades? Or have you been to the Pleiades? Will I see you again in another dimension or in the dream state? When will our star sisters contact us? Why do currently so many hidden pyramids appear? How do I serve myself the most from the heart and how can I stay open? Do you know if David Bowie was an extraterrestrial and if yes, we he came from and what his mission was? Do you want to say something specific to mankind? What is your feeling about the people in Europe? Why did you have a stroke? How do you physically feel now compared to the last 6 years since you had the stroke? If I want to communicate with you directly or have a Private Session or Past Life Reading, how can I get in touch with you? How do you live in America? Do you live alone? Are you interested in finding a husband? What is your personal wish for your future? How and where would you love to live? Can you imagine living in Europe? You say that Jesus Christ was from Venus. Is he on Venus today? Is he still on the causal plane or how do you see his Soul now? Are you in personal contact with Jesus’ Soul? What was Jesus’ purpose on Earth? What is your opinion about churches, especially the Catholic Church? In the beginning of the Eckankar movement, you worked together with the founder Paul Twitchell. Are you still in touch with his Soul and what is your current connection to Eckankar and the living Eck Master Harold Klemp? What is your general concept of relationships and sexuality? Do I create karma when I betray my partner? Is it natural to just have one partner and to live in monogamy? What do you think of the transgender movement? Is being gay something that God likes? I am a 46 years old woman and I have never had a relationship or partnership in my whole life. Can you explain this to me? I am still confused about the health factor of eating animal protein; can you shed some light on this? What effect does food have on what we think, how we act and how we feel? What is the meaning of angels and elves on Earth? Do you know anything about the elves people? Have you seen elves? What is Self Realization, Soul Realization, and God Realization? Do you see yourself as a spiritual master? What is the difference between a master and a teacher? Are there any spiritual teachers which you admire? How do you get in touch with your star sisters? How do you practice Soul Travel? You mentioned the 4 phases of the Transformation Process of the Earth. Can you explain these and tell us where we are now and where we are going? So we are now in the 3rd phase? When will this change happen? When will the system collapse? Can the change happen peacefully or will there be wars and catastrophes? So there is nothing to fear? But there are still all these wars, and terrorists, and negative things happening at the moment. Does the 4th phase of the Transformation mean that we will live in a higher consciousness and that the whole frequency of the planet Earth will rise? Will the Earth then be similar to the astral plane of Venus the way you describe this plane in your book? This might still take hundreds of years until we are in this higher level or do you see any timeframes? You say that there was a door opening in CERN – what happened there exactly? What can we individually do to stay or become positive and to consciously support the Transformation Process and our own spiritual development? You say that the globe is not warming up and that natural catastrophes like the pole shift are not going to happen. Is this really true? You said that the Earth will serve a new purpose after the Transformation, is that correct? Will younger Souls who still need negative experiences incarnate somewhere else after the Transformation of the Earth? Are the Reptilians going to leave the Earth during the Transformation Process? When does the Transformation come and how long does it take? Will all people on Earth manage to go through the Transformation? When will the Transformation be complete and when can we live in the new reality? Is humanity ready for the big event, for disclosure and open contacts? Are you still in touch with your Venusian family? Do you physically meet your Uncle Odin sometimes? Are you in contact with other Venusians or with other extraterrestrials here on Earth? Do you know if people from Earth visited Venus before you came here? Did Nicola Tesla come from Venus? Are there animals on Venus with a consciousness? So animals on Venus don’t have a Soul? Is there any astrology on Venus? How can I find out what my connection to Venus is? Is there an exercise how to become more aware of our connection to Venus? How do the Venusians see the Earth today? Do you have any deities like Egyptian ones or Sumerian and is it good to ask them for help? You said that your Uncle Odin is working as a scientist in a spaceship and supports beneficial inventions for the people on Earth. Can you share an example with us? Are there any other famous people who are connected to Venus? I heard that 5 % of the people on Earth originally came from Venus. Can you confirm this?